Going to the dentist for most kids happens every six months. But as we grew older many of us failed to follow through with regular visits. Blame it on a busy work schedule, a demanding social schedule or lifestyle. 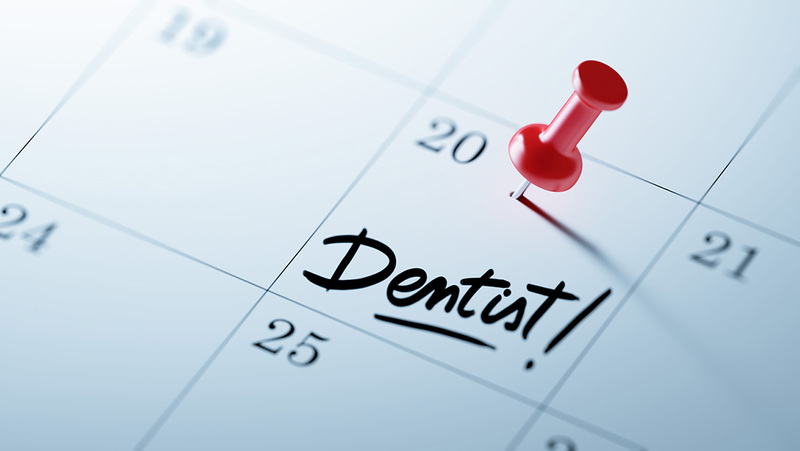 Oral health professionals agree you should make time to see your dentist at least once a year or you might regret it later in life. Even if you brush your teeth twice a day and floss a few times a week, it doesn’t mean you shouldn’t make regular visits to your dentist. A professional teeth cleaning helps avoid the risk of serious health issues like gum disease, dementia and coronary artery disease. And your dentist and team of hygienists do a whole lot more than just clean teeth and fill cavities. They look for other issues that could develop later. It’s incredibly hard to ignore tooth pain. Persistent pain or swelling in your teeth or gums could be a sign that one of many different things is wrong, and you should have your dentist check for infection or gum disease. Lingering pain isn’t normal, and you don’t have to just live with it. Even if the pain does go away at some point, the core problem could still remain. 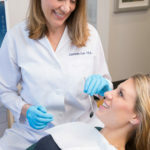 Even given the sturdiness of fillings, crowns, dental Implants, or bridges, with everything we chew, it’s possible to loosen the restorations in our mouths. 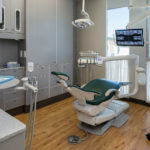 If any of your dental work feels loose, crooked, or in any way off, let your dentist fix the problem quickly to prevent additional issues, and expenses, down the road. Hormonal changes during pregnancy and the postpartum state can make the gums more reactive to plaque and more susceptible to inflammation. Pregnancy Gingivitis is a common condition that can be controlled or avoided with more frequent cleanings. Additionally, periodontal and gum problems during pregnancy have been associated with low birth weight. So along with regular visits to your obstetrician, don’t forget to see your dentist for the health of you and your baby. A tooth sensitive to hot food or a cold drink can be more than a minor inconvenience. A change in the way your teeth react to hot and cold often means there’s a much more advanced problem happening in your mouth. And identifying the cause of this sudden pain can go a long way to treating the issue. New sensitivity to certain foods or temperatures can occur when decay moves through the enamel to the center of the tooth, and the earlier you treat a cavity the better. Sensitivity could also be a sign of a different problem, such as teeth grinding, a filling that needs to be replaced, or a fractured tooth. Always feeling thirsty could be the sign of a medical issue. 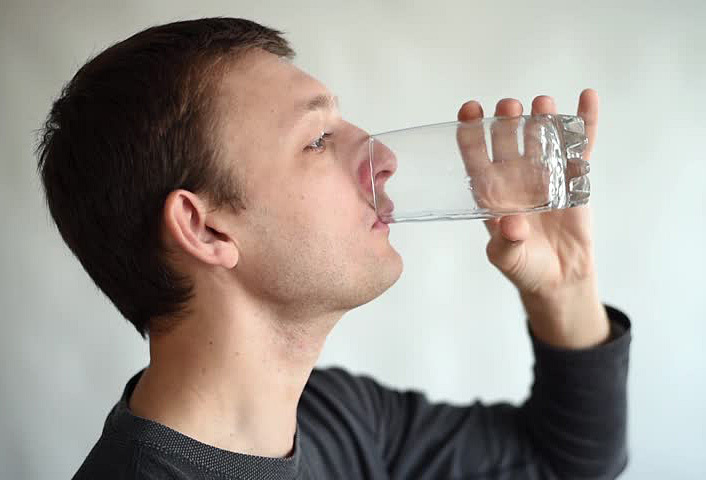 Dry mouth results from an inadequate flow of saliva. Saliva is the mouth’s primary defense against tooth decay and maintains the health of the soft and hard tissues in the mouth. 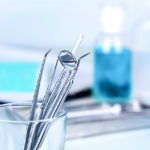 Without saliva, extensive tooth decay can also occur. 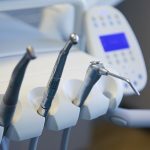 Your dentist can recommend various methods to restore moisture. Sugar-free candy or gum stimulates saliva flow, and moisture can be replaced by using artificial saliva and oral rinses. Chewing and swallowing difficulties can occur in people of any age, but they are more common in older people. 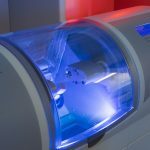 These difficulties can start because of normal aging, medications, dental problems, or medical treatments like surgery. Problems with chewing and swallowing (dysphagia) can increase the risk of food or other items getting stuck in the upper airway (causing choking) and/or entering the lungs (causing aspiration). A blockage of the airway can be life-threatening. This is not normal, and you should be sure to only eat soft foods or liquid until you see your dentist or M.D. in order to avoid aggravating the problem. If brushing and flossing daily isn’t improving your breath, you may have a bigger problem. 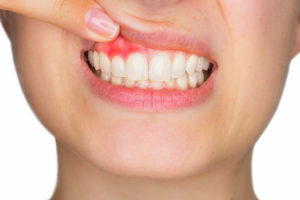 This can be caused by a number of conditions including diet, acid reflux, chronic sinus infection, dry mouth, medication, uncontrolled diabetes and of course gum or periodontal disease. Mouthwashes and breath mints are helpful, but may serve to mask the problem. Whether bad breath is a symptom or just something you personally face, your dentist will have personalized suggestions that will help. From biting your tongue or cheek to eating a fruit that doesn’t agree with you, mouth sores happen. But if they last in your mouth for a week or longer, it’s time to see your dentist. Canker sores, cold sores, leukoplakia, and candidiasis are some possible signs of a bigger problem, all varying in severity and cause, and can be traced to either a virus, an infection, or cancer. 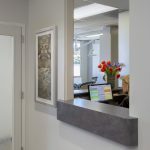 A beautiful and healthy smile is just around the corner at Northgate Dental. Your oral health is an important part of your overall health. You wouldn’t let a persistent problem go untreated in the rest of your body, so contact us for an expert’s opinion if you have any questions. 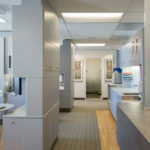 Go here to request an appointment and receive a free consultation about your oral health status. We look forward to improving your smile and your health.